Rocket League has changed the ranked system and is finally giving a fair chance for everyone to acquire the seasonal rewards. Surely this sounds exciting but winning 10 games in a single rank can be a challenge. You might want to think about buying Rocket League seasonal reward boost from Proboosting. We have a large group of Grand Champion boosters who are more than capable of getting 10 wins in any rank you desire! Buying Rocket League seasonal rewards boosting will not only get you the seasonal rewards, but as well as experience, levels, and random loot drops. "My Current Rank" should be your actual competitive rank. Buying a seasonal rewards boost is extremely simple, all you need to do is select your rank and the number of wins you want! You can also include additional options, such as playing with the booster. Do I have to be ranked to buy seasonal reward wins? Yes, you have to be at least Bronze, if you are unranked we can provide placement matches here. 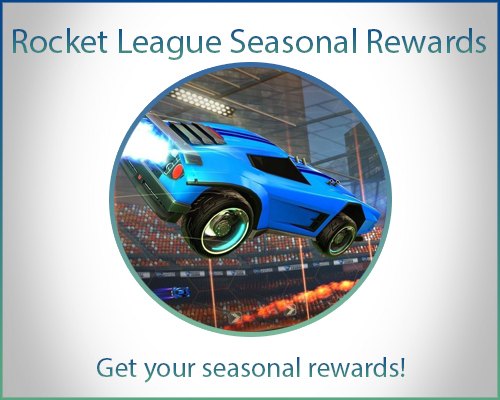 In addition to that your current rank must match the rank you have chosen to receive Rocket League seasonal rewards for. Do I have to be the required rank for my chosen rewards in order to receive them? Yes, you need to be the exact same rank as you have selected in order to receive your Rocket League seasonal rewards. If you have made a mistake whilst ordering and are lower rank than required, contact us on Live Chat and we will come up with a solution. Is there a way to talk to the booster? Yes, there is. After placing an order, a blue chat box will appear, which can be found in the bottom corner on the right side of the website, next to the Live Chat (green). Once a booster is assigned to your order you will be able to communicate with them there. Can I ask my booster various questions about the game while we are playing? Yes, absolutely. Our boosters are very friendly and always welcome questions regarding the Rocket League. Yes, of course. All of our boosters are trusted and verified professional members of our website. You are allowed to use Steam Authenticator during the boosting process, we will just require a code now and again before starting to play, this will protect all of your Steam Inventory. You are also welcome to trade over all of your Rocket League items to a different account whilst the Rocket League boost is in progress. Is it possible to play with the booster for seasonal rewards boosting? Yes, it is. You can do that by selecting the “Play with a booster” option. Which means you will be using your own account. The booster will use a smurf account similar to your rank to not make the games overwhelming for you. Playing with a booster is a great way to learn new tricks and expand your Rocket League game knowledge.